So my incredible adventure with Contiki Storytellers had come to an end, but my adventure in Australia wasn’t quite over yet. I had 5 extra days to play with in Sydney and for these I moved into a new base in Surry Hills. I’m going to insist on showing you around Surry Hills because this superb of Sydney is just SO gorgeous, and perhaps not one you’d prioritise exploring should you have limited time here. I know that, because I was here for 6 days last year and I only popped into Surry Hills briefly for an (amazing) ice cream at Messina. Instead I busied myself with the iconic landmarks, beaches and nightlife. But this time whilst staying at Adina Hotel Apartments on Crown Street, right in the heart of Surry Hills, I made sure I gave it a chance – and that was all it needed. Say hello to the dreamiest of dreamy locations. Our location in Surry Hills really was perfect. Far removed enough from the hustle that you’d hardly believe you were in one of the most popular cities in the world, but close enough to access everything by foot or a short bus ride.A real cosy, ‘get to know your neighbour and bump into them at the bakery’ kinda vibe. Rows of pastel coloured houses partially hidden and shadowed by overgrown trees. Framed windows with gardening pots blossoming a gorgeous sprinkle of colour. 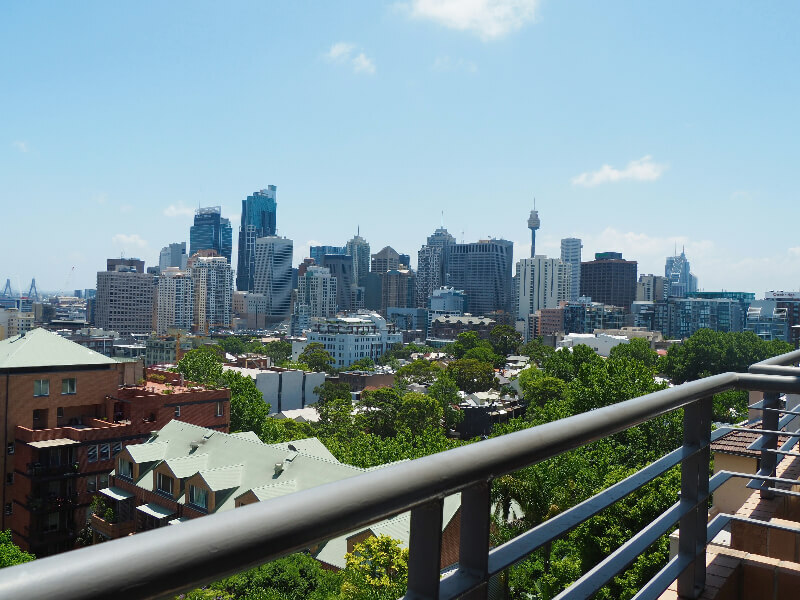 There are Adina Apartments all over Sydney: Coogee, Bondi, CBD, Harbourside, Central Station and where we were – Surry Hills. If you like the look of these apartments (kind of a given) then they are actually located all over Australia, Europe and various places in the world. You can locate Adina here. Combine a view over the CBD with the sunset, some music and your favourite tipple and well… it just can’t be beaten. The view seriously never got old. We’d wake up and sit out in the morning, lounge in the evening before we headed out & peeked upon return when the city sparkled in twilight. My favourite time by far in Surry Hills was breakfast time. Before the sun got too warm and as the cafes and streets filled with light conversation from beaming individuals, fresh and eager to begin the day.There is an abundance of choice when it comes to Breakfast and Brunch spots in Surry Hills. Right outside Adina you have a Bill’s Restaurant and should you fancy a wander in the fresh air, you will surrender to a shade laden breakfast pocket within minutes. Of all the places we stumbled upon, my favourite was a quirky little place called Organism. Another spot with the most beautiful brunch delights, namely the Scrambled egg and pancetta bruschetta is Pieno. But honestly, breakfast spots aren’t hard to find. Freshen up, take a stroll (and your camera) and see what you stumble upon. Should you fancy skipping food and heading straight for a treat (you are most likely on holiday so it’s allowed), Surry Hills hosts arguably one of the BEST ice cream parlours in Sydney if not Australia – Messina. They have over 30 ice cream and sorbet flavours with 5 ‘Specials’, a new one every day, Monday-Friday. They type you can’t refuse should you set eyes upon. Some of the regular flavours include: Salted Caramel and White Chocolate, Coconut and Lychee, Milk Chocolate with Chocolate peanut Fudge, Macadamia Crunch & Apple Pie. You can just imagine what the specials are like. Aside from a gorgeous wandering space, breakfast spots and coffee meeting points, Surry Hills is filled with boutique shops, vintage clothing stores and like I mentioned before, is just a short walk from all you could need.A Half hour walk will bring you through Hyde Park to circular quay, or the frequent bus stations along Crown Street will have you on a bus straight down there. Circular Quay is where you have access to the shops, The Rocks, the Harbour Bridge, the Opera House, Mrs.Macquaries Point & the train station to the Airport / rest of Sydney, so the links to everything are on your doorstep. The main Bus station that will take you to Bondi / Coogee is a 10 minute walk away, you can walk home from the bars in Kings cross and there are also a few popular bars/pubs on Crown Street itself – my favourite being The Clock. My stay in Surry Hills was, without a shadow of a doubt, faultless. 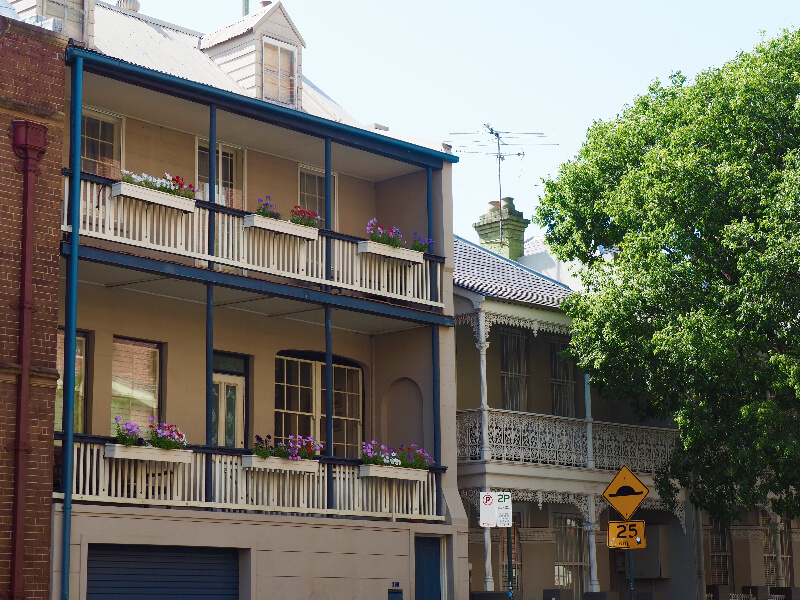 If you fancy a more laid back taste of Sydney, with still the flexibility of dipping in and out of the craziness as you wish, then Surry Hills could be your match. Adina delivered on every level and if I wasn’t to book back through them upon my return (which is SO happening), i’d probably try get a cute little house through Air Bnb. *I was lucky enough to be hosted by Adina in this apartment for the duration of my stay but, as ever, my pictures, opinions and comments are totally honest and completely my own.